We are now located in the Huddle. Follow us on social media for the latest news and updates! With an assortment of beverages, sodas, energy drinks, water, chips, pastries, ready-made sandwiches, salads, hot soups, fruit, and snacks, you're sure to find something to enjoy. Every morning, The Huddle serves breakfast burritos, oatmeal with choice of toppings, yogurt parfaits, and more. Starting at 11:30 AM a daily hot lunch special is offered. The Huddle is located in the front area of the gym. The Renegade Room Restaurant is a fine-dining public restaurant operated by the students enrolled in the Foods and Nutrition Program. 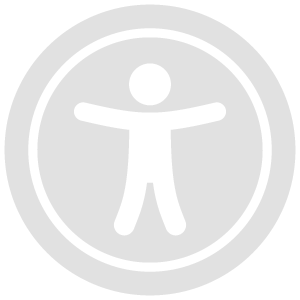 Visit the Renegade Room page for information on hours and location. Vendor trucks are on campus several days a week. 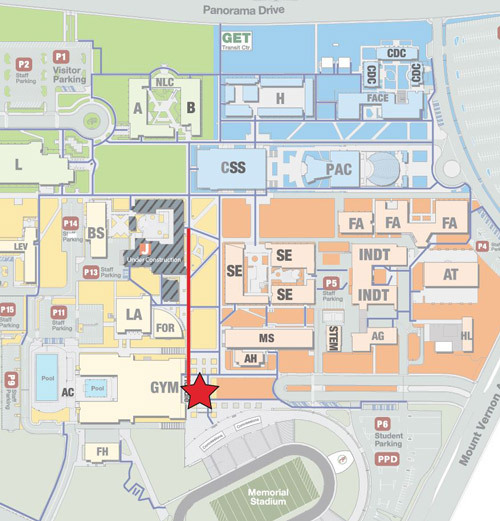 They are located south of the cafeteria between the Gym Huddle and Forum. Burgers, sandwiches, fries, onion rings, etc. 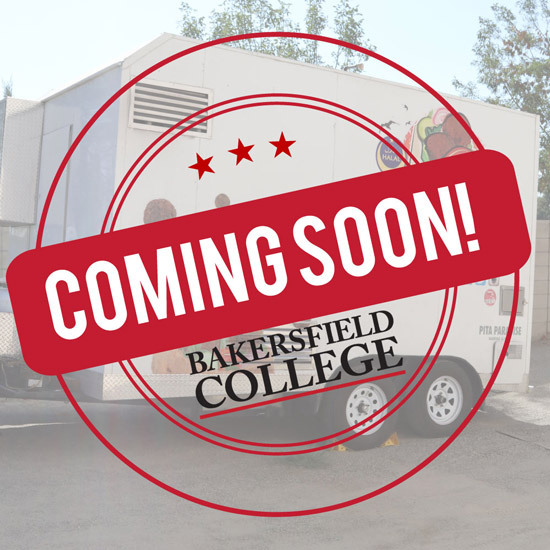 On campus Mondays, 10:00 a.m. - 4:00 p.m.
On campus Tuesdays, Wednesdays, & Thursdays, 10:00 a.m. - 4:00 p.m.
Bakersfield College will have its very own food truck on campus in the Spring semester! 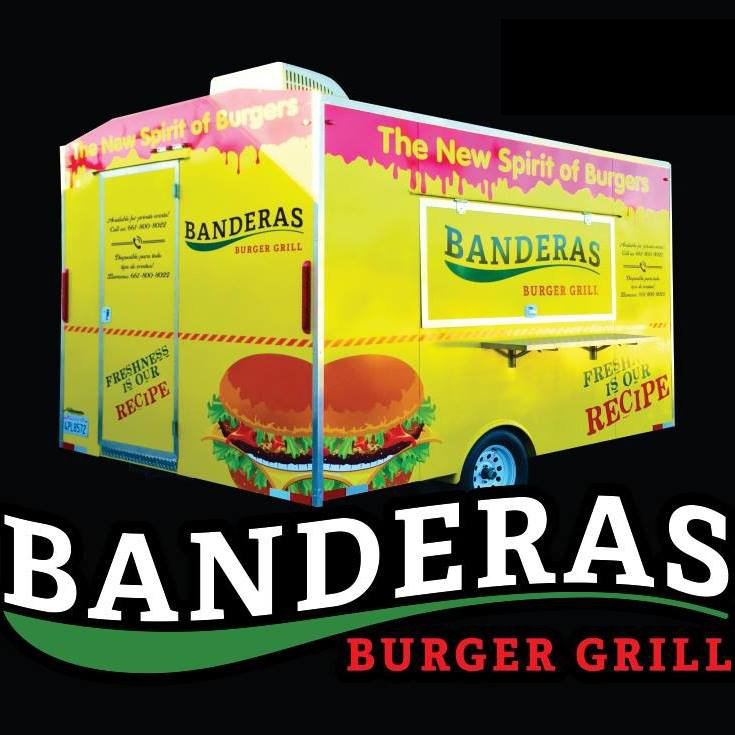 Make sure to keep an eye out for the trailer and its grand opening! Have an event on campus and would like it catered? Bakersfield College Food Services has catering available! Submit a Catering Request. There are also many restaurants located near the campus. 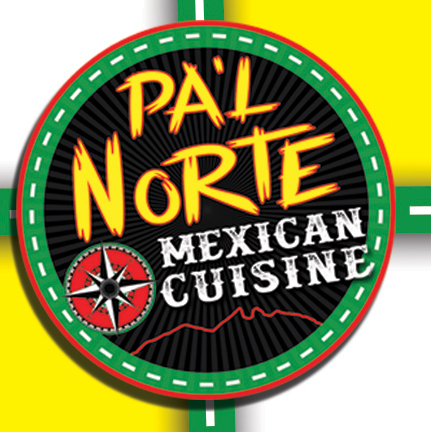 Below are just a few nearby restaurants within 5-10 miles of the campus and north of the freeway. This is not an exhaustive list—you will find more by using your favorite search engine.